The Point 15 is the largest cabinet of the Point Series range. It bridges the gap between high power and high fidelity, and should be the choice where high SPL and strong low mid power are a must. The Point 15 will be right at home with live bands of all genres, DJs and high level replay systems. The Point 15 is available in passive and active(bi-amped) versions. This 15” driver is identical to the driver used in the popular M15 and M215 - Adamson’s M Series of stage monitors and drum-fill enclosures. The ND15-L is powerful enough to provide monitoring for performers at a 100,000 person outdoor rock show, it can without a doubt keep up with everything one might need to do in most indoor venues, be it as the main system or as a fill box in large sized venues. 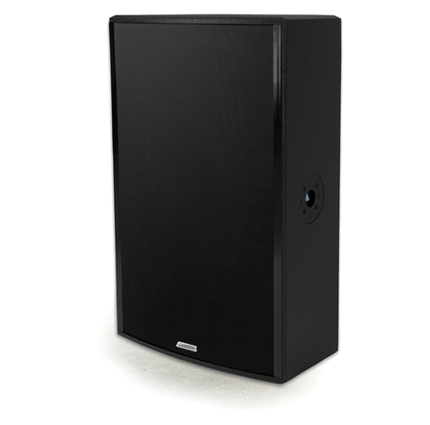 This, paired with the 1.4” exit HF driver mounted on an Adamson fiberglass waveguide, give this powerful loudspeaker coherency and musicality that is unparalleled.